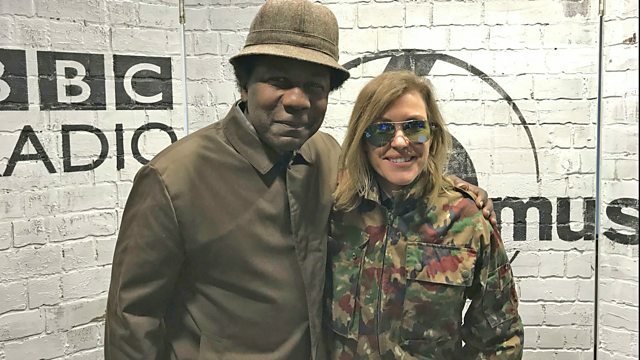 BBC Radio 6 Music - Cerys Matthews, Season's Greetings! DJ Norman Jay picks some of his favourite Christmas songs and music that has influenced his career. Plus Tomorrow's Warriors perform jazz versions of some Christmas classics. Jazz musicians from Tomorrow's Warriors perform some festive songs in the Live Room and DJ Norman Jay talks us through his amazing career via music he loves (including some festive tracks). Plus loads of Christmas party tunes, a seasonal Sunday Roast and archive from Keith Richards, the Gibb brothers and Chas Chandler.